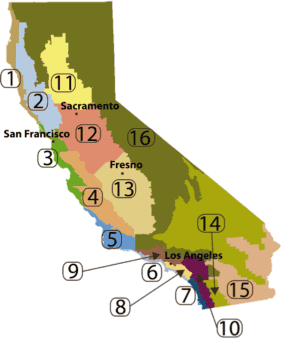 New Laws in California- 2014 – Above All Roofing Co. Above All Roofing knows the new laws required to meet California new building codes. Don’t risk being fined or penalized by not having your roof installed or inspected to meet the new 2014 building code laws. “The Energy Commission originally developed weather data for each climate zone by using unmodified (but error-screened) data for a representative city and weather year (representative months from various years). The Energy Commission analyzed weather data from weather stations selected for (1) reliability of data, (2) currency of data, (3) proximity to population centers, and (4) non-duplication of stations within a climate zone.